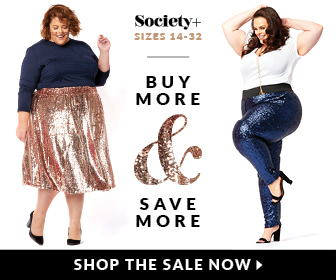 Office-friendly brand Of Mercer is finally adding plus sizes! Until now, Of Mercer‘s sizes have ranged from a 00 to a 14, but after extensive research, development, and, in co-owner’s Dorie Golkin’s words, talking to “basically anyone who would talk to us about what was lacking in the market,” today they’re launching extended sizes up to a 20W. We started Of Mercer three years ago with a mission to make professional women look and feel their best in and out of the office. But as a small company we had to start…well, small – offering only 7 sizes in our line. It has since become abundantly clear that we have many more women who we need to serve. We regularly hear from would-be customers, asking for us to increase our size range, and it has become obvious that many fashion brands are completely ignoring women over size 12, especially if you demand something better than fast-fashion (you should!). It was time someone made cool, confident careerwear that went beyond a size 12. To learn more about Of Mercer‘s journey to creating their plus size line CLICK HERE.